Last week The America Library of Poetry was more than “fanning the flames of literacy” at our house. The Library, sponsor of free poetry contests for kids in kindergarten through twelfth grade, had finally picked this year’s winners. Adam was not among them. He had been so hopeful after he was notified this summer that he was still in the running for the grand prize. To confirm that he was a serious contender, his poem would appear in a volume of other entries set for publication in December. For $35 my son would forever have his own personal copy of his first work to appear in print. September 30th. Adam noted the date on our family calendar. It was the day the winners would be published on the Library’s Web site. He visited the site several times a day throughout September, trolling for hints of how his poem was faring in the contest. Nothing. He was nervous. I was nervous for him because I knew all too well what was coming down the pike. It’s hard not to take rejection personally. And, boy oh boy, did my son take it personally. I was out when he logged on to the Web site on the evening of September 29th. When I checked my BlackBerry there it was—Adam’s righteous (or self-righteous) indignation that his poem was not among the winners. My son-turned-critic berated the winning poem in his age category as “a sure sign of uncreativity (sic) and poetic weakness. You rhyme when you can’t be vivid or use figurative language.” Ouch. Who made him the poetry maven? Welcome to my world Adam. I’ve got a collection of lovely rejection letters from editors at some of the best publications in this country. And you know what? When I started out, I clung to those hand-written two line notes like a life preserver. “Not quite right for us. But send more.” These days I get rejections mostly through email and they’re not nearly as exciting. Ten point Arial dilutes the urgency, the optimism embedded in the rushed handwriting of those earlier notes. My near misses don’t make me all that angry anymore; they make me determined. Fiercely determined (maybe that’s constructive anger) to show every editor who has rejected me that they were flat out wrong. In the meantime, Adam needed some perspective because frankly he is not, as he claimed in the heat of the moment, the best children’s poet in America. I know because once upon a time I thought I was the best children’s novelist not only in America, but the world. I was so sure of it that when I was nine I sent my first “book” to a legal publisher I found in the yellow pages. The CEO was charmed and he called my parents to tell them so. Congratulations! Every single accomplished and talented writer has been rejected. If he or she hasn’t been rejected he is not remembering correctly. Some of those poems were not as good as yours. But some of the poems were just as good or better. The judges are not “impaired.” However, judges are human and they have their preferences. Yes. I’m the more reactive parent, the mushier parent. While every kid needs a mushy parent, that same parent must take precautions against becoming too malleable. Adam needed to understand that he may have deserved to place in that contest, but so did the actual winners. The Adam I came home to bore no resemblance to the raging poet who fired off that earlier e-mail. I asked if he would like to read through some of the winning poems with me. I read the Grand Prize Winner aloud and he agreed that it was a very accomplished poem. I pointed out that the poet was a senior in high school. And as for that rhyming poem that took first place in his age category? I said that I thought it worked. We read that one out loud too and he reluctantly agreed. A few minutes after we had discussed the winning entries, Adam sent me a contrite e-mail. He explained that he felt “angry and unappreciated” when he pounded out the first message. After the disappointment passed (isn’t it great to be twelve? 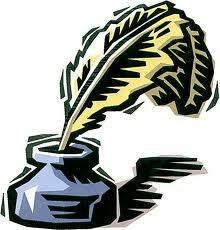 ), he asked Ken and me never to work for The America Library of Poetry. Employees and their families are not eligible to enter the contest. Only a true writer would be so optimistic and yet such a glutton for punishment. In anticipation of reviewing a collection of linked stories coming out in September called The People of Forever Are Not Afraid— a collection focusing on three young women doing their mandatory service in the Israeli Defense Forces–I revisited an epistolary essay I wrote after I met Sarai, a young Israeli army officer. Sarai was mostly skeptical about peace for her country. But towards the end of our conversation I heard a glimmer of hope in her voice. Here’s the letter I dedicated to her after our encounter four years ago. There is a lot on your young shoulders. Twenty-one years old and you’re already an officer in the Israel Defense Forces. 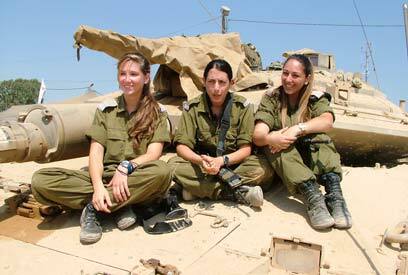 Thank you for defending Israel. Thank you to your mother for sending you out into the world to do this work for the Jewish state, and for Jews everywhere. Back home in Boston descriptions of what you and your unit do sound surreal. People will shake their heads in disbelief as much as in admiration that your unit—18 and 19 year-old young women—monitors the Israel security barrier and the surrounding area 24 hours a day, 7 days a week. Girls with long, shiny ponytails—the same ponytails I see swinging up and down the soccer field when I watch Anna play. They’re eating the same junk food teenagers everywhere eat. But these teens munch on potato chips while wearing their country’s uniform and focusing on their monitors. They blink as often as the guards at Buckingham Palace. The room where they work is uncannily silent. I wonder what your subordinates think of the American visitors cheering on one of the girls as she follows a suspicious character and then communicates with soldiers in the field to pick him up for questioning. It’s stunning to realize that the decision is hers alone on who warrants a closer look. And it’s even more stunning to know that the soldiers on the ground have only her judgment to rely on. She’s the one who guides them if they have to crawl around brush and barbed wire to capture a suspect. If things go badly, hers is the last voice a soldier hears in his earpiece. Sarai, your charges are only four years older than my daughter. I wouldn’t blame you if you were resentful that my daughter and her friends are relatively carefree. I can understand if it bothers you that American groups observing your work sometimes relate to it as if watching a video game. Please be patient with us. The first Gulf War was beamed into our living rooms like a remote video game. But that was in 1991. You were only 3 years old and the soldiers now in your charge were babies. None of you remember being bundled into your safe rooms. I was so sad when you said you’ve lost all hope for peace. You chide your friends for being unrealistic, even naïve about peace between Jews and Arabs. You say it’s because you’ve seen too much. I can understand why it disheartens you to see 5 and 6 year-old Palestinian children throwing rocks through the fence at your fellow soldiers. But your hopelessness coupled with those Arab children’s burgeoning hatred are also casualties of the Israeli-Palestinian conflict. I’d like to share a personal story with you. When I was a little older than you I worked for a civil rights organization where my job was to monitor right-wing extremists. You have infrared cameras and the latest communications equipment to do your job. I collected my information by reading hate rags put out by the Ku Klux Klan, neo-Nazis, skinheads and Holocaust revisionists. I was 25-years old and had never encountered such raw hatred. I monitored these right-wing extremists for 3 years. I knew where every Klan cell was in the United States. After reading so much hate material day in and day out, it skewed my vision of the world. A few hate-mongers led me to believe that the United States was a country full of racists and anti-Semites. I had to pull out of that job to get my bearings again. Maybe you need to do the same after you honor your commitment to the army. 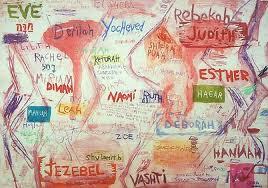 Sarai, your name tempts me into midrash. Sarai was Sarah’s name before God changed it. Perhaps this is a before moment for you. Maybe you’re more pessimistic as a younger Sarai. But I think you’ll find your optimism again. I saw a glimmer of that optimism when I asked you why witnessing the conflict up close wouldn’t want to make you work that much harder for peace. I know that your duties as an officer in the Israel Defense Forces wear on your soul. Remember that you don’t need to solve every problem you encounter. But please marshal your strength, your experience—and yes—your optimism to work for peace. The last straw was when I woke up in the bathroom of the Ritz Carlton in New York last weekend. I had made a semi-comfortable pallet for myself—two terry cloth robes, a few fluffy bath towels and a pillow I snatched from the bed just before I was exiled. The four of us – husband, daughter, son and me – were sharing a room at the hotel. At one in the morning, my fifteen year-old son tearfully shook me awake and said he couldn’t bear my snoring anymore. Please, he begged me, do the sleep apnea study. This wasn’t the first time I’ve slept on the floor of a hotel bathroom. It started last year on a family vacation. It was to be an idyllic week of looking at colleges in New England and upstate New York for my daughter. Of course, we only needed one hotel room. Who were we anyway, the Rockefellers? But this last time my kids’ were intensely anxious about sharing a room with me. The previous couple of months my children had taken to shutting my bedroom door and theirs because my snoring was so cartoonishly loud. One night my daughter and her friends taped me so I could hear for myself how bad it was. I was horrified. I asked my husband how he slept through the racket. “I love you,” he said. He refused to comment further. It was clear I’d have to go to a sleep center to get my snoring under control. I don’t know how I got so loud and disruptive in the first place. Nor am I sure when it began. Menopause may be a factor in there somewhere. So is the sleeping medication I take. In my late forties, I decided that I had had enough of the insomniac life. I was past my childbearing years. I deserved some uninterrupted sleep. Truth be told, I didn’t want to go to a sleep center. 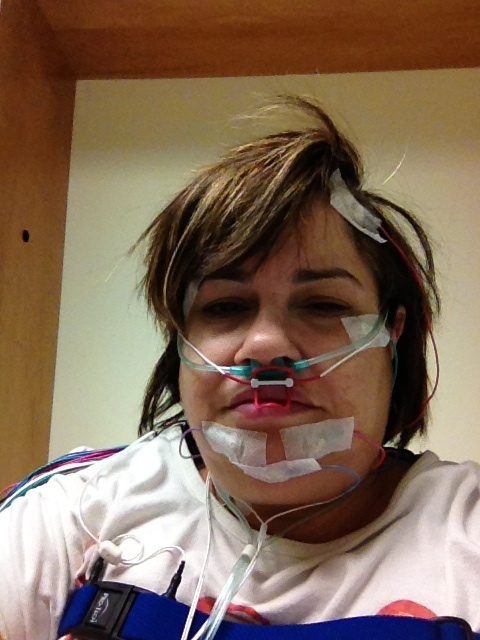 I wasn’t happy about having to sleep in a weird, sterile place hooked up to machines that measured my brain waves and kept track of my oxygenation. I also didn’t want to know if I had sleep apnea because that would involve sleeping with an oxygen mask for the rest of my life. Yes, the rest of my life. The sleep technician made a point of telling me that several times. I had no idea what to pack for my overnight at the sleep center. Pajamas, sweats? I opted for a nightshirt that said “Hot and Flashy.” You can play with the double entendre. I brought along my iPad so I could watch one of my favorite shows—a British Masterpiece Theatre import called Foyle’s War. It’s about a police inspector protecting his seaside town during the Second World War. I have a crush on Foyle and his younger sidekick, Sergeant Milner. I thought they’d be good company. I called my house just before lights out and said I wanted to go home. “I know,” said my husband. We had already established he wasn’t allowed to come to the testing site to be with me. One of the greater challenges of writing this column is to convey as many aspects of parenthood as I can despite my lack of expertise in a particular parenting topic or dilemma. This means that I have to go beyond my experience as a parent to understand issues with which I’m not familiar – to step out of and look critically at my own parenthood in search of empathy and appreciation for what other parents encounter. I’ve wanted to write about autism for a long time, but felt I didn’t have the right despite the fact that someone I love very much was diagnosed as a toddler. But the topic has so preoccupied me that I wanted to honor my relatives who have fought so hard for their autistic son to be educated in a school where he is not left in isolation for hours at a time if he becomes agitated. They fought for their son’s right to go to an out-of-district school that would properly nurture him as part of his education. After a lot of tears and angst and legal maneuvering, they won. I read blogs and books by parents whose direct activism on behalf of their autistic children are changing the way the world understands and accepts this disorder. I think these parents’ dedication has created a historic movement that has led to groundbreaking research on the topic as well as captured an elusive empathy. To do my job properly, I want to point to people who have shared vital, life-changing stories about the sad, surprising and beautiful ways in which autism has shaped their families. Susan Senator, a local Bostonian, is one of the most passionate and effective teachers and writers I’ve read on autism. Susan’s mothering of her severely autistic son, Nat, is brave and hard, and completely natural. Read her blog. Search out the three books she has written about autism and family life. You’ll learn so much about autism and the obstacles she’s overcome bringing her son to adulthood. Anyone who’s organized a bar or bat mitzvah, a communion, a sweet 16, even a relatively big birthday party knows how much there is to prepare. But when your child has autism, as Jonah does, the preparations never seem to end; nor does the worrying about everything that might go wrong. So, yes, it’s even money that on the day of his bar mitzvah Jonah will do something interesting. I’m betting that just as the rabbi is briefing him on the significance of this time-honored ritual, Jonah will give a shout-out to his favorite animals, yaks and zebras. Hence the title of Yanofsky’s memoir – a reference to Jonah’s obsession with all things related to animals and the title of his illustrated book for a school project, which features animals arranged alphabetically in various states of bad behavior. But the genius of Yanofsky’s memoir is that his son is never an object of curiosity. Nor is Jonah a saccharine source of inspiration. He is what every child should be to a parent: the source of an indescribable love that is more than occasionally laced with frustration, amusement and pride. As engaging as Senator and Yanofsky are – as brilliant as they are at breaking their readers’ hearts and then putting those hearts back together for them – they are at the end of the day parents who are mired in a thick alphabet soup of acronyms that stand for bureaucratic and sterile terms like Individualized Education Plans, Pervasive Developmental Disorder, Applied Behavioral Analysis. IEP, PDD, ABA – they feel like billboard-sized letters taking over space and time in hearts and minds and homes. But Senator and Yanofsky are not Don Quixote figures tilting at inflated letters. They scale these letters to tell the world exactly what their children – their autistic children who have created unique, bright universes around which their families orbit – deserve. And it’s not an acronym: it’s a basic right called Respect.